Let The Games Begin! 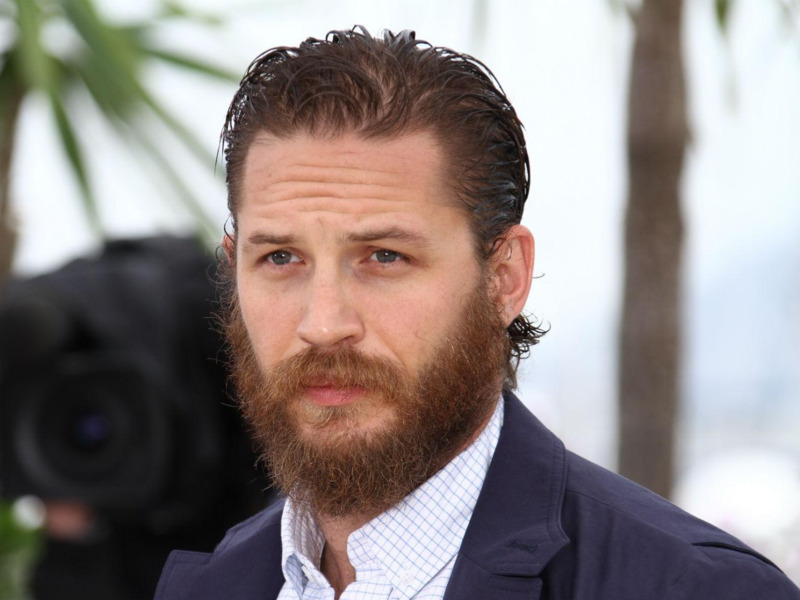 Top 5 Tom Hardy Performances You Need To Check Out! Tom Hardy slowly but steadily went from obscurity and struggle to being an actor recognized the world over for his diverse roles. To his credit, save for Star Trek: Nemesis, he willingly was never a part of big ensemble movies and chose to do meaningful and small roles. But it was Inception (2010) that got him in the centre of the spotlight and he took full advantage of it, choosing his roles carefully and showing a knack for leaving a mark regardless of the screen-time. As the man who broke the Batman’s back, Bane envisions himself as the hero of the story. There is a method to his madness as he carefully plans and then brings to fruition his elaborate scheme of decimating Gotham. But as the scene above depicts, he is not a mad man. He believes in methodically breaking both Bruce Wayne/Batman and his beloved Gotham. With a mask covering his face for the entirety of the movie, Hardy completely emoted through his eyes. The menace, the strength and later the pain radiating through those eyes made his Bane a villain for the ages. After seeing Hardy’s performance in Bronson (2008), Christopher Nolan decided to recruit him as a manipulator/shape-shifter/chameleon for his mind-bender. And boy did Hardy shine! His suave and charismatic turn as Eames won him love and accolades from even the staunchest critics of the movie (which were few themselves) and it is not difficult to see why. In the scene above, Hardy matter-of-factly explains complex ideas of Inception like they were child’s play and this role did bring him the world-wide attention he deserved. Considered Britain’s most dangerous prisoner at one point of time, Charles Bronson has spent well over 30 years in solitary confinement alone! To portray him, Hardy, who is skinny by nature, performed 2500 push-ups daily to bulk up, much to the satisfaction of the real Bronson. Danish director Nicolas Winding Refn, himself considered a bit of an odd duck, believed that Hardy’s eyes spoke volumes about the inner turmoil that could be tapped eventually. And tap he did! Hardy is completely explosive in the movie, going from sombre to volatile in seconds and nothing displays the same like the scene above. Though the movie was based on the sport of Mixed Martial Arts (MMA), it told the tale of a broken family with utmost sincerity and sensitivity. As Tommy, the youngest of the family, Hardy displayed extreme poise in his characterization of the troubled son. When you watch the scene above, you will notice that his shoulders are sagging. This is a recurring motif throughout the movie which displays the weight he has been carrying around throughout his life. This is a bravura performance, through and through! The importance of this movie in modern cinema will always be paramount for not just the sheer display of grit and determination on the part of its director, the legendary George Miller, but also on the parts of its actors, particularly Hardy, who gets top-billing as the lead actor but whose role is more supporting than a lead one. He respectfully lets Charlize Theron’s Furiosa take the centre stage opting instead for an understated and poignant performance as the troubled drifter in a post-apocalyptic wasteland fighting his demons. The scene above comes towards the final stretch of the movie when in a gentle moment something happens that hadn’t previously. He tells his name to a wounded Furiosa. Check the scene and the movie out if you haven’t already. This is the biggest challenge any actor could have faced. To star in a movie that’s set entirely inside a car and with the said actor being the only character visible to the audience throughout the run-time. But Hardy was up to the challenge and this is his best performance. A man whose personal and professional lives are spiralling around him, refuses to cower down and instead decides to own up to an indiscretion knowing fully well that it will leave his whole life in shambles. Hardy is masterful as Locke because there’s a whole gamut of sentiments he gets to display, ranging from anger, frustration, helplessness and decisiveness, he does it all with panache. The scene above depicts his imaginary conversation with his father, who left Locke and his mother when he was a little boy. The restraint at display is immaculate. Needless to say, this one must be watched!